Thankyou to Jodi Keller for allowing me to display this photo of her Champagne grulla filly. 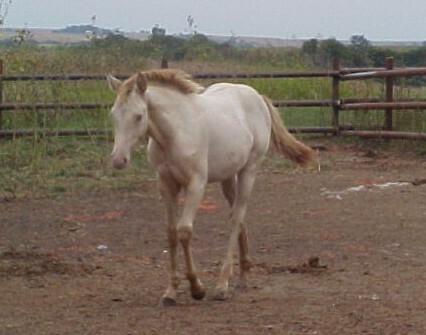 This lovely filly has both a champagne and dun dilution genes acting on a black base coat. What a super color!